Announcing the news through their official websites, Ludogorets Razgrad and Maccabi Tel Aviv have both confirmed their places for PES 2015. With teams such as AEL Limassol, Aalborg BK and Grasshopper Club Zürich already secured, these deals boost the current total of 'Other European' teams up to 18. Thanks to Cosmin Moți's play-off heroics in Ludogorets' extraordinary penalty shoot-out win against Steaua Bucharest, the Bulgarian club are enjoying their first ever run in the Champions League, sitting second in Group B after matches against Basel, Liverpool and Real Madrid. 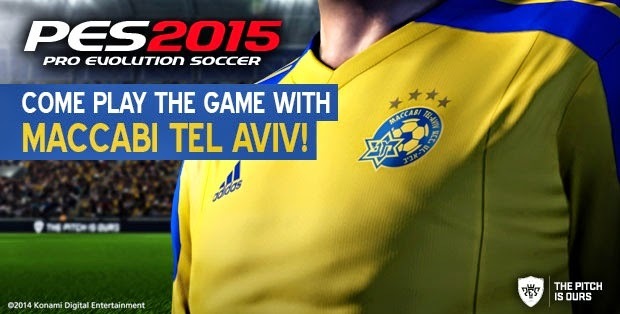 Meanwhile, Israeli champions Maccabi Tel Aviv - who just missed out on reaching the group stages of this season's Europa League - will make their second consecutive appearance in the PES series. With further UEFA clubs still to be confirmed, which teams would you like to see make the final version? Credit to TodoWE for the scoop.